Super sweet and cute filly with a lovely disposition and temperament. Brave and quiet under saddle. Short coupled and well balanced. Very quick learner and eager to please. Her first, last and only start was on 7/8/2018. She is looking for a new career in which she can excel and is a blank slate for you to restart and finish in the discipline of your choice. 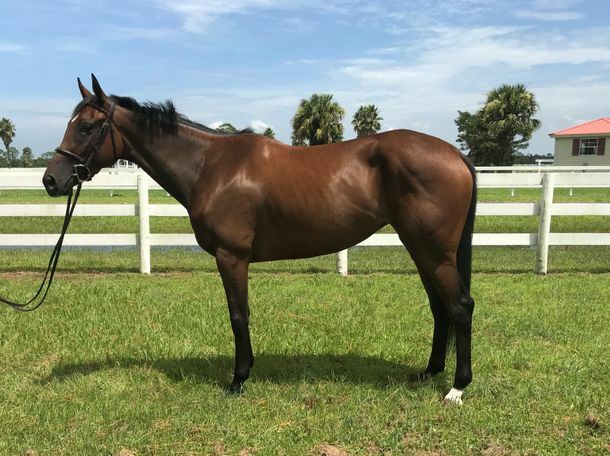 2019 RRP TB Makeover eligible.